UIS Lincoln Legacy Lectures to explore "Lincoln and Race"
WHAT: “Lincoln and Race” is the theme of the 8th Annual Lincoln Legacy Lectures presented by Dr. Michael Burlingame and Dr. Matthew Holden, Jr. WHEN: Thursday, October 7, 2010 at 7 p.m. DETAILS: In celebration of UIS’ 40th anniversary, two UIS faculty members will give this year’s lectures. Dr. Michael Burlingame, Naomi B. Lynn Distinguished Chair in Lincoln Studies, will present a lecture titled: “Abraham Lincoln: ‘The White Man’s or the Black Man’s President’?” Dr. Matthew Holden, Jr., Wepner Distinguished Professor in Political Science will give a lecture on: “After Lincoln: The Counter-Attack of White Supremacy.” Dr. Cullom Davis, Emeritus Professor of History, will serve as moderator. 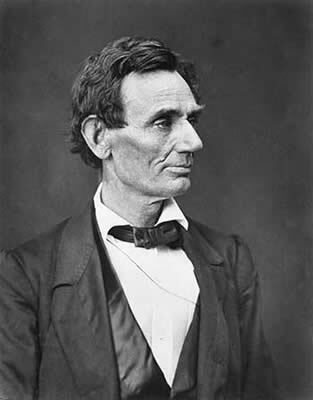 The Lincoln Legacy Lecture Series provides a forum for nationally known scholars to discuss issues that, while they are of contemporary interest, also engaged Abraham Lincoln and citizens of his era. The event is free and open to the public; no reservation is required. Students and classes are encouraged to attend. Overflow seating will be available in Conference Room C/D of the Public Affairs Center. The lectures will be webcast live at: www.uis.edu/technology/uislive.html. The Annual Lincoln Legacy Lecture Series is presented by the UIS Center for State Policy and Leadership. This year’s cosponsors include the College of Liberal Arts and Sciences, ECCE Speaker Series, Illinois Issues, The Illinois State Library, University of Illinois Alumni Association, and WUIS Public Radio. For more information call 217/206-7094. 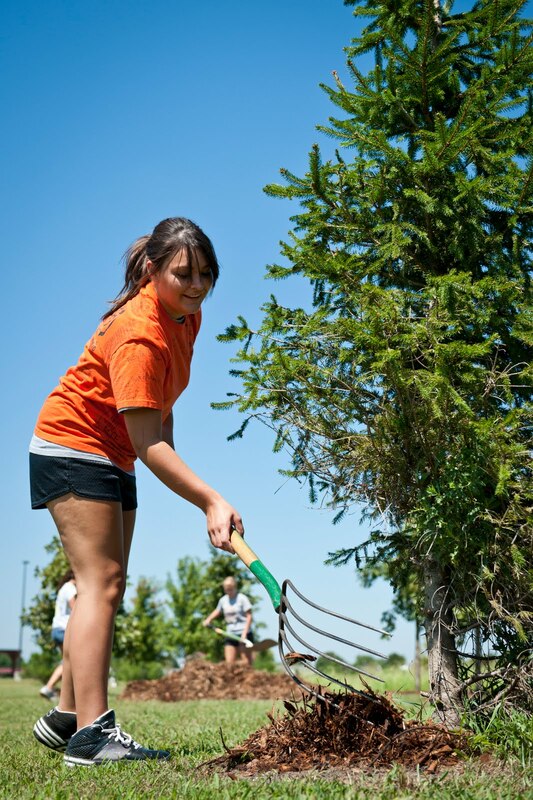 Students at the University of Illinois Springfield got a chance to give back to the community through service. The Volunteer and Civic Engagement Center hosted its second annual "Fall into Volunteering Fair" on September 23, 2010 in the Public Affairs Center lobby. The fair is designed to give students an opportunity to meet local non-profit groups and become volunteers. “I think it’s a good way for us to get out in the community, get our feet wet and see what connections we can make, but also apply what we’re learning here,” said Andrea Montague, a junior Clinical Laboratory Science major. The fair featured nearly 20 groups from the community who deal with a variety of charitable needs. “(Volunteering) makes you feel more connected and makes you feel like you’re more involved,” said Jordan Jeffers, UIS volunteer services coordinator. Jeffers says there are many benefits to volunteering; besides the good feeling you get from helping out. Volunteering can help student’s meet new friends and the experience looks great on a resume. “I’m looking to obviously make some friends and connections, learn key things for my future and probably for my future job,” said Luis Rojas, a freshman Clinical Laboratory Science major. UIS Housing and the Experiential and Service-Learning Program also sponsored the fair. For more information on volunteer opportunities at UIS visit the Volunteer and Civic Engagement Center website. The University of Illinois Springfield will be holding its 40th anniversary Homecoming activities during the week of October 4 through 9. UIS Family Weekend will also coincide with the events on October 8 through 10. The theme of Homecoming Week 2010 is “Where Stars Are Born”. - Homecoming Pep Rally at 9:30 p.m. at The Recreation and Athletic Center (TRAC). First 200 students with ID through the door will get a free homecoming T-shirt. Arrive early because they go fast! - Lunchtime Games: Mashed Potato Sculpting from 11:30 a.m. to 1 p.m. in the PAC Food Emporium Patio (Rain location: PAC Concourse). - UIS Women’s Volleyball vs. Robert Morris at 7 p.m. at the TRAC. - Make Your Own Spirit Wear at 9:30 p.m. in the Food Emporium. Paints, poster board, and blank T-shirts will be provided. - Wacky Wednesday: Football Punt from 11:30 a.m. to 1 p.m. on the UIS Quad. - Lunchtime Games will be held from 11:30 a.m. to 1 p.m. in the PAC Main Concourse. - Homecoming Happy Hour from 5 at 7 p.m. at Floyd’s Thirst Parlor located at 210 South 5th Street, Springfield. - Lincoln Legacy Lecture Series: “Lincoln and Race” from 7 to 9 p.m. in Brookens Auditorium, located on the lower level of Brookens Library. - UIS Women’s Volleyball vs. Quincy at 7 p.m. at TRAC. - Homecoming Dance at 9:30 p.m. in the SLB Gym. Dance the night away for Homecoming. Dress is semi-formal. - Brookens Library Book Sale from 9 a.m. to 3 p.m. under the Brookens Overhang. - Prairie Star Volunteer Service Event from 1 to 4 p.m.
- UIS Women’s Soccer vs. St. Joseph at 5 p.m. at Kiwanis Stadium. - Pack the Field (Student Cookout) at 6:30 p.m. on the east side of Kiwanis Stadium. - UIS Men’s Soccer Game vs. St. Joseph at 7:30 p.m. at Kiwanis Stadium. A fireworks display will be held immediately following the game. - 5K Run/Walk starting at 9 a.m. at TRAC. Cost is $10 until 9/24; $15 after. - Tech Tools and Gadgets at 10:30 a.m. in UHB 2027. Presented by Kara McElwrath, join us as we explore first-hand the vast array of technologies available at UIS. Learn how we are leveraging technology to help students succeed at UIS! - “Through the Decades” Luncheon from 11:30 a.m. to 1 p.m. in the Sangamon Auditorium Lobby. - Strawbridge-Shepherd House Tour from 1:30 to 2:30 p.m. located on Shepherd Road (between UIS & Lincoln Land). - Solar Telescope Showcase from 2:30 to 3:30 p.m. on the UIS Quad. - UIS Homecoming Parade & Pet Parade at 5 p.m. on the UIS Campus. - UIS Homecoming BBQ & Lawn Party from 5:30 to 7 p.m. on the South Quad. Come join us after the Homecoming Parade for free food, drinks, and fun. Don't forget to bring your I-card! - UIS Students vs. UIS Alumni/Faculty/Staff BB Game at 7 p.m. at TRAC. 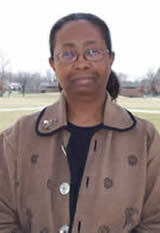 For more information, contact Cynthia Thompson, director of UIS Student Life at 217/206-6665 or visit www.uis.edu/homecoming. WHAT: The University of Illinois Springfield Engaged Citizenship Common Experience (ECCE) Speakers Series and the UIS Diversity Center present “Ask a Mexican!” a Hispanic Heritage Month event. WHEN: Thursday, September 30, 2010 at 8 p.m. DETAILS: “Ask a Mexican!” is an open discussion led by Gustavo Arellano in which participants can ask any question about Mexicans and Hispanic heritage. His approach is a welcome reprieve from common tiptoeing around the fraught subjects of race relations and immigration. 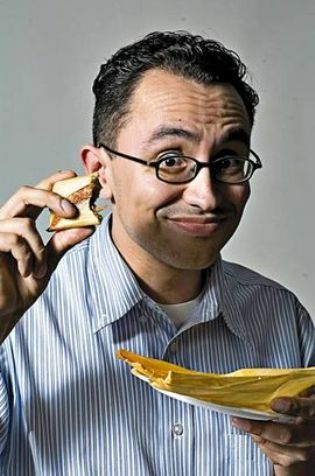 Arellano was born in Anaheim, California, to a tomato canner and an illegal immigrant. 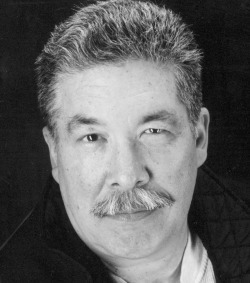 His “Ask a Mexican!” column won the 2006 Association of Alternative Newsweeklies award for best column. He’s a contributing editor to the Los Angeles Times and has appeared on Today, Nightline, NPR's On the Media, The Situation with Tucker Carlson and The Colbert Report. Arellano was the featured 2010 UCLA commencement speaker. For more information on the “Ask a Mexican!” discussion contact Jeannie Capranica, Diversity Center program Manager at 217/206-6333 or jjone1@uis.edu. The University of Illinois Springfield Career Development Center hosted the 3rd annual Graduate and Professional School Fair on September 21, 2010. The event brought 28 graduate and professional school programs from UIS, Illinois and the Midwest to campus. The purpose of the event was to introduce UIS students, alumni and community members to the available graduate and doctoral programs. “I attended a seminar online about grad school, but it’s better to meet with people one-on-one and kind of get more information,” said De’Anna Winters, a senior communication major. But for the thousands of UIS students who take classes exclusively online, meeting face-to-face can be a challenge. That’s why the Career Development Center offered a virtual option to those who couldn’t make it to the fair, but wanted to participate. “They will send us an email with the questions and the programs they’d like us to ask questions and provide information about them,” said Gale Kilbury, career counselor for the UIS Career Development Center. The Career Development staff sought out and found answers to online student questions and then replied to them by email. It wasn’t only the online students that had a lot of questions. “I’ve found out that the programs do vary. It’s not just one program, so I’ve just been kind of looking around and learning what grad school is all about,” said Winters. Kilbury says while a lot of students decide to continue their graduate education at UIS, it’s nice to let them weigh all their options. The Central Illinois Nonprofit Resource Center (CINRC) at the University of Illinois Springfield is pleased to announce the launch of a new workshop series on grant seeking and proposal writing. Kristin Olson, a well-established grant writing professional in central Illinois will serve as the guest instructor. All workshops will take place on select Wednesdays from 10 a.m. to Noon at Brookens Library on the UIS campus. The first workshop on September 22, 2010, is entitled “Grant Writing 101”. The workshop will share some of the secrets of the grant writing trade and teach participants how to write a successful proposal. On October 6, 2010, the topic is “Budgeting Basics”. This workshop will help participants create a basic budget that can be included in a grant proposal when the funder doesn't provide a form. The class will also discuss what information to include in a budget narrative and how to demonstrate in-kind support. “Developing a Need Statement” will be the focus of an October 20, 2010, workshop. The class will discuss how to find and use comparative data to demonstrate the need for a project. On November 11, 2010, the workshop will take participants through “Federal Grants Step-By-Step”. This class will walk participants through the steps needed to submit a competitive federal proposal. Beginning with registering organizations with Grants.gov, the class will discuss the requirements for submitting an online application. On October 13 and November 10 the CINRC will also offer its standard complimentary workshop in “Locating Private Foundation Funding”. In addition, the class will discuss private foundations and how to approach them. Registration is required for all of the classes and seating is limited. Please register online at http://url.uis.edu/CINRCCalendar. The cost of the workshops is $25 per session, except for the complimentary October 13 and November 10 events. Participants can pay through credit or debit card through the registration web site. For more information contact Pamela Salela, coordinator of the Central Illinois Nonprofit Resource Center at 217/206-6783 or email psale2@uis.edu. WHAT: The University of Illinois Springfield Volunteer and Civic Engagement Center will host its annual “Fall into Volunteering Fair”. WHEN: Thursday, September 23, 2010 from 11:30 a.m. to 2 p.m. DETAILS: This is a chance for students to meet local non-profit groups and become a volunteer in the Springfield community. Representatives from the Abraham Lincoln Tomb, Illinois State Museum, Special Olympics Illinois, Big Brothers Big Sisters, Sojourn Shelter & Services, Memorial Medical Center, Planned Parenthood of Illinois, Computer Banc, Prairie Center Against Sexual Assault, Springfield Area Arts Council, American Red Cross, Illinois Audubon Society, Ronald McDonald House, Abraham Lincoln Museum, Central Illinois Blood Center, Radio Information Service, Triangle Center, Illinois Connection, Habitat for Humanity and Good Will Good Guides are scheduled to attend. For more information visit the Volunteer & Civic Engagement Center website or contact Director Kelly Thompson at 217/206-8448 or kthom03s@uis.edu. Speakers Series presents "Marcha! Latino Chicago and the Immigrant Rights Movement"
WHAT: The University of Illinois Springfield Engaged Citizenship Common Experience (ECCE) Speakers Series presents “Marcha! Latino Chicago and the Immigrant Rights Movement” featuring University of Illinois at Chicago professors Amalia Pallares and Nilda Flores-González. WHEN: Thursday, September 23, 2010 at 7 p.m. Reception following the event. DETAILS: UIC professors Pallares & Flores-González discuss the contemporary immigrant rights movement in Chicago. A city with long-standing historic ties to immigrant activism, Chicago was the scene of a precedent-setting immigrant rights mobilization in 2006 and subsequent mobilizations in 2007 and 2008. Chicago is also a microcosm of the immigrant rights movement on a national level. Please join us to advance the conversation about immigration. Dr. Pallares & Dr. Flores-González are editors of the new book Marcha! 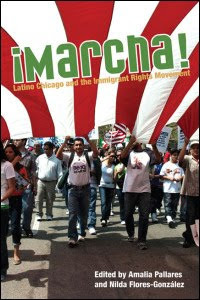 Latino Chicago and the Immigrant Rights Movement published by the University of Illinois Press. Pallares is an associate professor of Political Science and Latin American and Latino studies at UIC and the author of From Peasant Struggles to Indian Resistance: The Ecuadorian Andes in the Late Twentieth Century. Flores-González is an associate professor of Sociology and Latin American and Latino studies at UIC and the author of School Kids, Street Kids: Identity Development in Latino Students. Cindy Ervin, transportation supervisor in the Facilities and Services Department was honored with the 2010 Chancellor’s Award to Recognize Excellence in Civil Service during a September 15, 2010 luncheon. In presenting the award Chancellor Richard Ringeisen read from Ervin’s nomination form, which describes her as “dependable, hard working and knowledgeable.” Ervin is known for always giving a top level of service, responding to challenges and never placing blame. “I am just so surprised and shocked. This is such a nice honor. What a great place to work. I know most of you that are here feel that way too,” said Ervin in accepting the award. Ervin also spends time volunteering both on campus and in the community through projects such as Sharing Tree and Adopt-a-Family. The award was handed out as part of the 4th annual Civil Service Appreciation Day, which honors civil service staff for all of their hard work and dedication they display throughout the year. This year’s events included a photo scavenger hunt and door prize drawings. Speakers Series presents "Is Wrongful Conviction of the Innocent a Constitutional Crisis?" WHAT: The University of Illinois Springfield Engaged Citizenship Common Experience (ECCE) Speakers Series presents “Is Wrongful Conviction of the Innocent a Constitutional Crisis?” This forum is being held in commemoration of Constitution Day in the United States. DETAILS: The discussion will be led by Larry Golden, co-director of the Downstate Illinois Innocence Project at UIS and John Hanlon, assistant deputy defender of the Office of the State Appellate Defender. The issue of wrongful convictions has most recently come to our attention due to advances in forensic science that have led to the reversal of hundreds of convictions. The question is whether in light of these exonerations, the rights guaranteed in the constitution, such as the right to counsel, to due process and to equal protection of the law are being abrogated in criminal justice prosecutions. 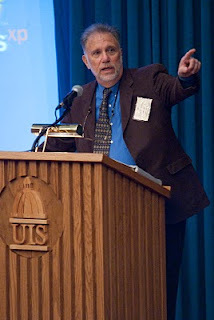 Larry Golden helped found the Downstate Illinois Innocence Project at UIS in 2000 and presently serves as pro-bono co-director. The Project was the first undergraduate /master’s project in the country to utilize students to undertake investigations of actual innocence cases. John Hanlon has for the last 10 years been an attorney working in the Death Penalty Trial Assistance division of the Office of the State Appellate Defender. As such he oversees and participates in capital cases throughout the state of Illinois. The longest running student-led program in the history of the University of Illinois Springfield couldn’t be stopped by rain. The 33rd annual International Student Festival was originally scheduled to take place outside on the quad, but got moved inside the Student Life Building on September 10, 2010. 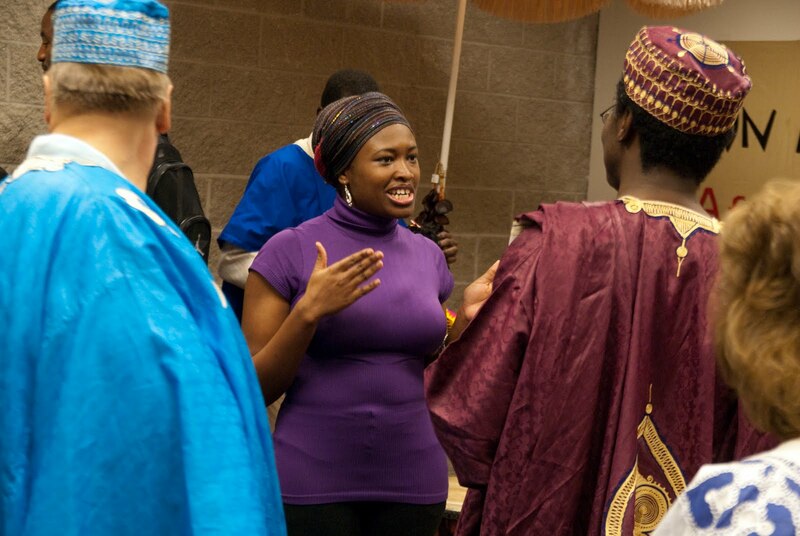 The festival celebrates the rich international and cultural diversity of the UIS campus. “It gives the campus community and the community we live in, along with the students, a great opportunity to promote their culture and to educate the other students on campus about the country they’re from,” said Tracy Beard, office manager for International Student Services. This year’s theme was “Fun and Games Around the Globe”. The festival featured games on the quad, cultural performances and exhibits, plus a variety of ethnic foods. “People just get to walk around and enjoy a variety of different performances and try different food and meet people from other countries,” said Cassie Bernardi, graduate assistant for International Student Services. The event showcased the cultures of several countries including China, Turkey, India, Poland and Scotland to just name a few. Organizers hope the event opens people’s minds to other cultures and beliefs. “This gives you a great atmosphere to try something new, to step outside of the box to eat or watch something you wouldn’t typically do in your own comfort zone,” said Beard. Speakers Series presents "Some Say the World Will End in Fire: Stories That May Save Us"
WHAT: The University of Illinois Springfield Engaged Citizenship Common Experience (ECCE) Speakers Series presents “Some Say the World Will End in Fire: Stories That May Save Us” featuring Thomas King, an award-winning novelist, short story writer, scriptwriter, and photographer. WHEN: Wednesday, September 15, 2010 at 7 p.m. DETAILS: King is the creator of the Canadian Broadcasting Corporation’s hit radio show, "The Dead Dog Café" as well as one of the performers. In 2003, he gave the prestigious Massey Lectures which were published as The Truth About Stories. King holds a Ph.D. from the University of Utah in English/American Studies and has worked in Native Studies programs as a teacher and administrator for the past forty years. This talk is an examination of the stories we tell and the ways in which stories and our imagination and provide us with identity, strength, and purpose. This event is being co-sponsored by the Capital Scholars Honors Program, UIS Provost’s Office, Friends of Brookens Library, College of Public Affairs & Administration, and Student Affairs. WHAT: The Political Art and the Public Sphere (PAPS) series presents a screening of the film The Shape of Water followed by a discussion lead by Heather Dell, UIS associate professor in Women and Gender Studies. WHEN: Monday, September 20, 2010 at 6 p.m. DETAILS: In an intimate encounter with five different women in Brazil, India, Jerusalem, and Senegal, The Shape of Water offers a close look at far-reaching and vibrant alternatives crafted by women in response to environmental degradation, archaic traditions, lack of economic independence and war. 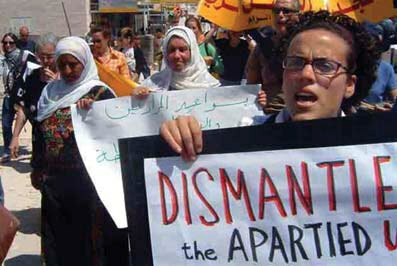 The initiatives of these women include rainforest preservation, sustaining a vast co-operative of rural women, ending female genital cutting, strengthening opposition to the occupation of Palestine and maintaining autonomous farms to further economic independence and biodiversity by preserving women’s role as seed keepers. The Shape of Water offers a unique view of the complex realities faced by these unsung visionaries working to create a more just world. WHEN: Tuesday, September 21, 2010 from 11:00 a.m. – 2:00 p.m. DETAILS: This event will bring graduate and professional schools from Illinois and the Midwest to the UIS campus. The purpose of the event is to connect UIS students, alumni and community members with representatives of higher educational institutions from many disciplines and to gain information on graduate school options, degree programs, and the graduate application process. The event will allow attendees to meet many representatives and gain valuable information in a short amount of time for better overall preparedness in future graduate and professional degree programs. In order to make this event beneficial for graduate school recruiters, the event will be open to the community. The University of Illinois Springfield’s popular Friday Night Star Parties will resume this fall the first Friday after Labor Day and continue through the end of October. Those dates include: September 10, 17, 24 and October 1, 8, 15, and 22. Friday Night Star Parties are held from 8 to 10 p.m. weather permitting at the UIS observatory, located on the roof of Brookens Library. 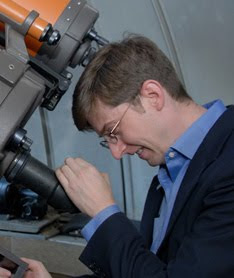 The events are hosted by John Martin, assistant professor of Astronomy/Physics. The observatory’s telescopes will be used to view a number of celestial objects, including the planet Jupiter; the Moon, when visible; the Ring Nebula; and other double stars and star clusters. A typical Star Party is kicked off by a presentation as visitors ascend the stairs to the observatory, learning about galaxies, the sun and stars along the way. On the roof observation deck visitors are invited to view various celestial objects through telescopes and ask questions. People are welcome to arrive and leave as they wish as long as the doors are open between 8 p.m. and 10 p.m.
Star Parties may be canceled for cloudy weather. Questions about whether the weather is suitable for viewing should be directed to 217/206-8342 at 7 p.m. on the evening of the Star Party. More information about Star Parties can be found online at www.uis.edu/astronomy/about/starparties.html. For more information or if you have questions about Star Parties, contact John Martin at 217/206-8342 or email jmart5@uis.edu. WHAT: University of Illinois Springfield presents the 33rd Annual International Student Festival with the theme “Fun and Games Around the Globe”. WHEN: Friday, September 10, 2010 from 4:30 to 8:30 p.m.
WHERE: Due to the weather, performances, food, and booths are being moved to the Student Life Building. Tournaments taking place throughout the day on the UIS quad will continue outside as planned, unless the weather worsens. DETAILS: For over 30 years the University of Illinois Springfield family has celebrated its rich international and cultural diversity with the annual International Festival. This year’s Festival centers on the theme “Fun and Games Around the Globe” in recognition of the many ways in which the people of the world play and celebrate together. Friends from the greater Springfield community will be joining UIS students, faculty, and staff to share an afternoon and evening of cultural exhibits, artistic performances, food tasting, and more, all with the international flavor that you have come to expect over the years. Again this year, in order to make the Festival accessible to all, we are not charging any admission, and we are mixing the food, the exhibits, and the performances during the same time period and in the same location. You will want to sample each of the ethnic foods, participate in the games, visit the information booths, and stay around for all the various performances. What a great way to learn about and from each other!